Do you live in Saint Augustine? St. Augustine (Spanish: San Agustín) is a city in northeast Florida and the oldest continuously occupied European-established settlement in the continental United States. The county seat of St. Johns County, it is part of Florida's First Coast region and the Jacksonville metropolitan area. According to the 2010 census, the city population was 12,975. The United States Census Bureau's 2013 estimate of the city's population was 13,679, while the urban area had a population of 69,173 in 2012. Spanish Florida for over 200 years, and remained the capital of East Florida when the territory briefly changed hands between Spain and Britain. It was designated the capital of the Florida Territory until Tallahassee was made the capital in 1824. Since the late 19th century, St. Augustine's distinct historical character has made the city a majortourist attraction. It is also the headquarters for the Florida National Guard. The first European known to have explored the coasts of Florida was the Spanish explorer and governor of Puerto Rico, Juan Ponce de León, who likely ventured in 1513 as far north as the vicinity of the future St. Augustine, naming the peninsula he believed to be an island "La Florida" and claiming it for the Spanish crown. Prior to the founding of St. Augustine in 1565, several earlier attempts at European colonization in what is now Florida were made by both Spain and France, but all failed. The French exploration of the area began in 1562, under the command of theHuguenot colonizer, Captain Jean Ribault. Ribault explored the St. Johns Riverto the north of St. Augustine before sailing north, ultimately founding the short-lived Charlesfort on what is now known as Parris Island, South Carolina. In 1564, Ribault's former lieutenant René Goulaine de Laudonnière headed a new colonization effort. Laudonnière explored St. Augustine Inlet and the Matanzas River, which the French named Rivière des Dauphins (River of Dolphins).There they made contact with the local Timucua chief, Seloy, a subject of the powerful Saturiwa chiefdom,before heading north to the St. Johns River. There they established Fort Caroline. Later that year some mutineers from Fort Caroline fled the colony and turned pirate, attacking Spanish vessels in the Caribbean. The Spanish used this as a pretext to locate and destroy Fort Caroline, fearing it would serve as a base for future piracy, and wanting to discourage further French colonization. 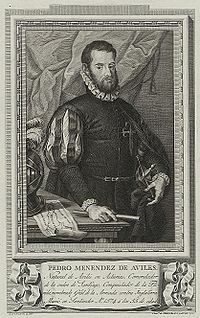 King Philip II of Spain quickly dispatched Pedro Menéndez de Avilés to go to Florida and establish a center of operations from which to attack the French. As of the 2010 United States Census, there were 12,975 people, 5,743 households, and 2,679 families residing in the city. The population density was 1,376.2 people per square mile (531/km²). There were 6,978 housing units at an average density of 549.4 per square mile (211.4/km²). The racial makeup of the city was 84.2% Caucasian, 11.6% African American, 0.4% Native American, 1.2%Asian, 0.1% Pacific Islander, 0.8% from other races, and 1.6% from two or more races. Hispanic or Latino of any race were 5.1% of the population. In the city the population was spread out with 13.1% under the age of 18, 15.3% from 18 to 24, 23.9% from 25 to 44, 25.2% from 45 to 64, and 19% who were 65 years of age or older. The median age was 42.6 years. For every 100 females there were 88.1 males. For every 100 females age 18 and over, there were 85.8 males. Primary and secondary education in St. Augustine is overseen by the St. Johns County School District. There are no county high schools located within St. Augustine's current city limits, but St. Augustine High School, Pedro Menendez High School, and St. Johns Technical High School are located in the vicinity. The Florida School for the Deaf and Blind, a state-operatedboarding school for deaf and blind students, was founded in the city in 1885. The Catholic Diocese of St. Augustineoperates the St. Joseph Academy, Florida's oldest Catholic high school, to the west of the city. There are several institutions of higher education in and around St. Augustine. Flagler College is a four-year liberal arts college founded in 1968. It is located in the former Ponce de León Hotel in downtown St. Augustine. St. Johns River State College, a state college in the Florida College System, has its St. Augustine campus just west of the city. Also in the area are the University of North Florida, Jacksonville University, and Florida State College at Jacksonville in Jacksonville.